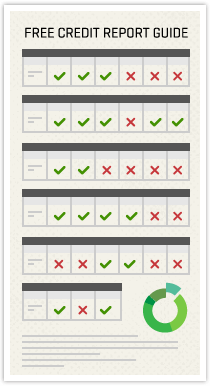 In a Nutshell: While often one of the most understated features of a retailer’s online checkout page, the “Submit Coupon” box is actually one of the most powerful, holding the potential for hundreds in savings. And now, thanks to Gumdrop by Goodshop, the coupon box just got even more powerful — and it’s using its powers for good. An easy-to-install browser extension, Gumdrop makes sure you’ll never miss a deal, automatically bringing over 500,000 of the best coupons from across the web right to your browser as you shop more than 45,000 sites. And because Gumdrop is a part of the Goodshop family, users can also make a difference while they shop, with a percentage of each qualifying purchase being donated to the cause most important to you. Certain of life’s irritating coincidences tend to happen with such frequency they could be considered all but inevitable. For instance, it seems that one of the most effective ways to cause it to spontaneously rain is to water the garden. And if you want to practically guarantee you’ll bump into an old flame, just run a quick errand in your second-oldest t-shirt and dirty jeans. Of course, of all the little moments that make us feel a bit like the universe is mocking us, some of the most irritating of all are the ones that appear to cost us money. A prime example? You’ll almost always find that amazing coupon for your favorite store right after you complete your checkout. No matter how great a deal you already scored, knowing you potentially missed out on an even better one tends to sting. “When you get to that ‘Submit Coupon’ box, you don’t want to be the person who doesn’t have a coupon — not when you know there’s one out there,” said JJ Ramberg, Founder of Goodshop, a popular online shopping portal that allows customers to donate to their favorite causes with every purchase. Though Goodshop has seen success aggregating coupons through its site and mobile app, the company is taking that technology to the next level with the new Gumdrop platform. An easy-to-use browser extension, Gumdrop tackles the missed-deal dilemma by bringing the best coupons from across the web right to your browser window as you shop with thousands of participating retailers. To make it even better, as a part of Goodshop, Gumdrop allows users to not only shop and save, but also donate a portion of their purchase to their favorite cause — at no extra cost to them. The Gumdrop browser extension may be just a few months old — but it’s growing fast. In fact, Gumdrop users have saved more than $133.9 million already. Part of the platform’s success comes from the quick install and simple, automated interface. Users can hand-pick the coupons they want to use or simply activate them all to have Gumdrop automatically apply them at checkout. Gumdrop is compatible with all of the major web browsers, including Firefox, Internet Explorer, Chrome, and Safari. And yes, using Gumdrop really is as easy as it sounds. The gumdrop-shaped Gumdrop icon in the corner of your browser is always on the lookout for discounts — all you need to do is browse and shop your favorite online stores as you normally would. When you see the icon flash, you’ll know there is money to be saved. With a full complement of coupons from across the web, you won’t ever have to worry about settling for a sub-par coupon — or missing out on a deal entirely. 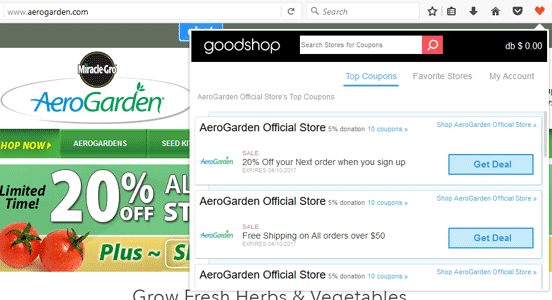 The Gumdrop extension displays all of a store’s online coupons, as well as each site’s sales and deals so you don’t miss out on a thing. 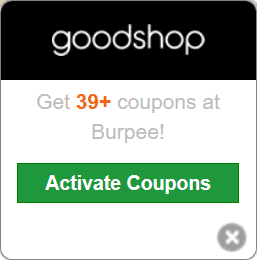 Users can click on the gumdrop-shaped icon to scroll through the offered coupons and sales to pick and choose what works for them, or click the green “Activate Coupons” button to have Gumdrop automatically apply the best coupon at checkout. Applying a coupon by selecting it from the list or activating your coupons automatically will also make your purchase eligible for any associated donation. While the Gumdrop extension has coupons from many of the most popular retail giants, including Amazon, Staples, and Target, it also includes a variety of smaller and specialty brands, as well. Through Goodshop and Gumdrop, you can find coupons across dozens of categories, from beauty and books to toys and travel accessories — and just about everything in between. Gumdrop brings over 500,000 deals and discounts right to your web browser as you shop. Savings can be had in a variety of ways, with coupons covering the gamut from free shipping deals to store-wide discounts. The types and number of coupons available will vary by store, with some offering just a handful of discounts and others with dozens of deals. You can even save all of your favorite stores, making it easy to see when a hot new deal or coupon is available by simply opening the Gumdrop extension and browsing the discounts. Gumdrop also keeps track of all of your donations, displaying how much you’ve raised for your sponsored cause. You can keep track of how much you’ve raised for your favorite cause right from the Gumdrop extension. As with the types of discounts, the portion of your purchase that will be donated is also dictated by the individual retailers. In general, donations will range from 1% to 5% of your purchase total but can go up to 10% or more. If it seems small, remember it all adds up. 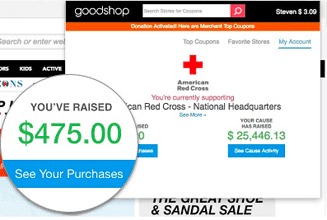 To date, Goodshop users have helped to raise approximately $12.7 million for more than 110,000 causes across dozens of categories. During some of life’s more irritating moments, it can be hard not to think the universe is simply laughing at you. What’s worse, many of those moments seem nearly inevitable — like your freshly washed vehicle turning into a birdie bathroom as soon as you put away the hose. Or seeing a targeted ad with a great coupon mere minutes after making an online purchase. I’m convinced little is to be done about aerial avian attacks on newly clean automobiles, but the team at Goodshop has the missed-deal dilemma well in hand with Gumdrop. Even better, they’re helping that little coupon box use its savings powers for good — and good causes.